Did you know that you can have a new smile in just 2 weeks? With Dr. Frankel. 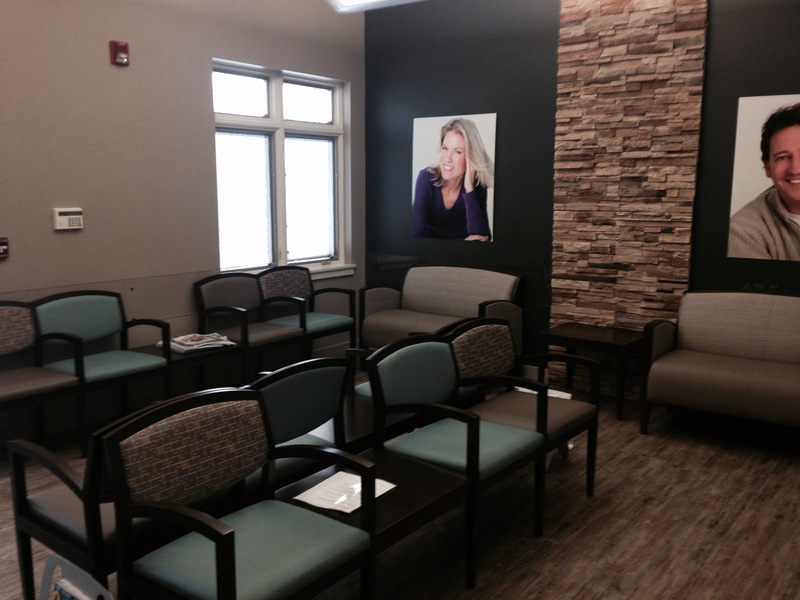 Toledo’s expert in smile makeovers, your dream smile is within reach. 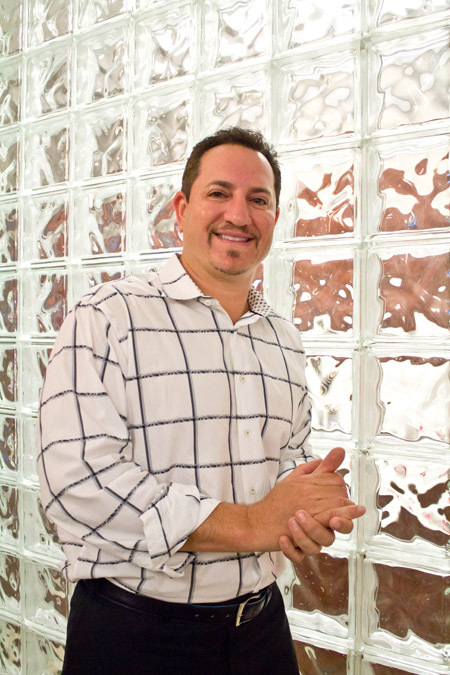 Dr. Frankel has performed hundreds of dental veneers cases, each one uniquely crafted to the individual wants and desires of the patient. Now we know you have questions, and Dr. Frankel has the answers. 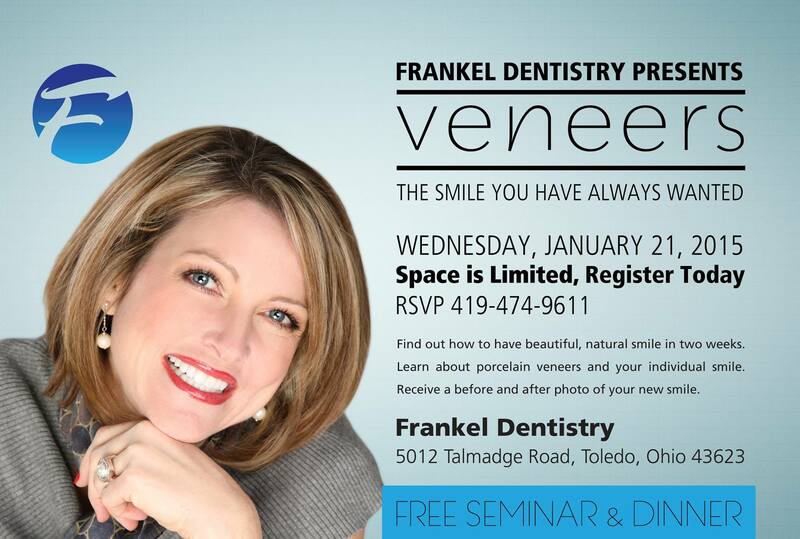 All you have to do is attend a FREE Veneers Seminar on Wednesday, January 21, 2015 at the Talmadge Road office in Toledo from 6:00-7:30 p.m. Dinner will be included in the event. 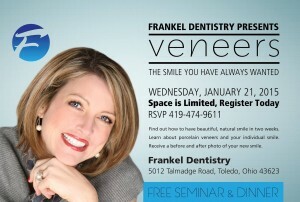 During the event you will get to meet Dr. Frankel and have all of your questions answered. 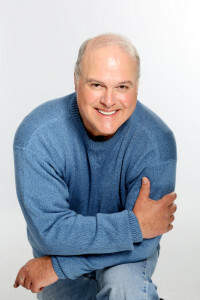 Current veneers patients will also be available to tell you what to expect during the process. 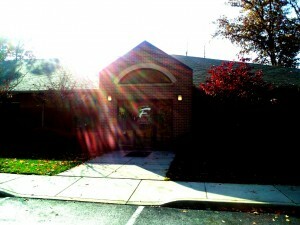 And Pamela will be doing free digital smile makeover so you can see what your new smile will look like. This can’t miss event has your name on it! Space is limited, so reverse your spot today by calling 419-474-9611. Veneers create a naturally balanced smile. Each tooth designed to ideal proportions following your smile line and defining your individual look. Veneers offer the opportunity to select a tooth shade that enhances your natural coloring. The beauty of an idealized smile created with veneers is all in the design. 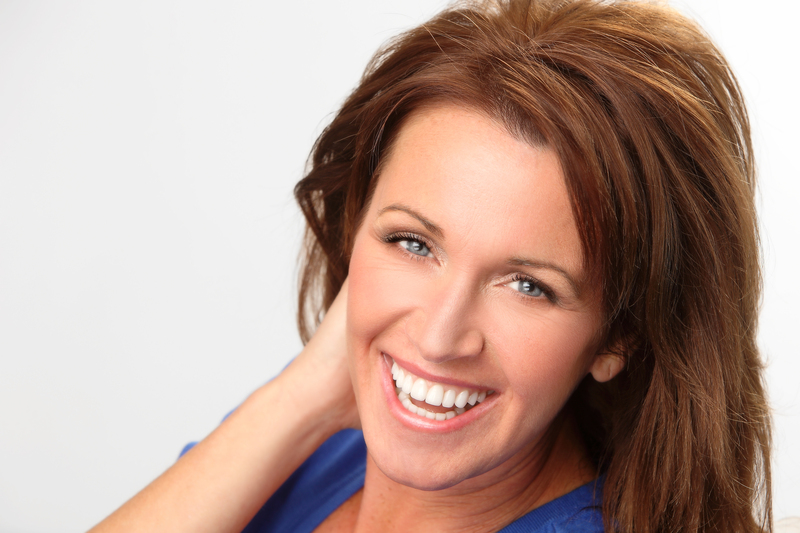 Attractive, memorable yet completely natural veneers are virtually undetectable. No one will know why, they find your new look unforgettable. Dental Veneers are a quick, permanent way to replace broken, chipped, stained or crooked teeth. Beautifully shaped porcelain sheaths, veneers allow a smile of ideal proportion and color. The process is relatively expeditious, a brief two weeks. 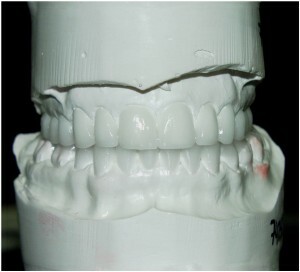 After a thorough evaluation including dental impressions (a mold of your teeth is made by gently biting into a soft plastic material as it slowly hardens) a dental arts lab designs a wax mock-up of your teeth. The teeth are prepared and the gum line (if needed) recontoured. Often water laser is used to reshape the gum line (lengthening the teeth and evening any irregularities). 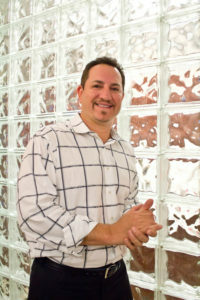 Dr. Frankel uses Biolase to reduce a gummy smile or keep the gum line consistent with the smile line. Temporary or provisional veneers are placed. Two weeks later, the porcelain veneers are permanently bonded in place. Dr. Frankel has created hundreds of beautiful smiles. To a person, each patient has commented, “I wish I would have done this sooner.” A Gallery of before and after smiles line the Talmadge Office of Jon Frankel Dentistry and complimentary consultations are available at your convenience.